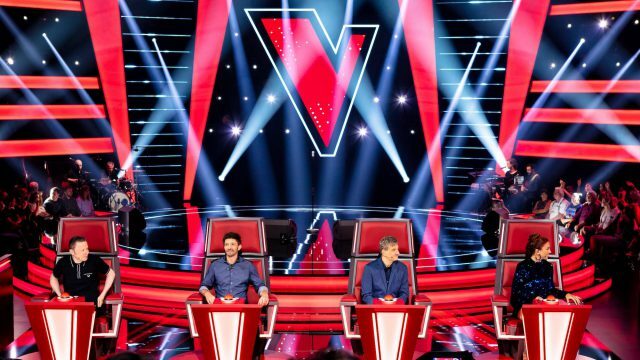 BELGRADE, Serbia – With its rich palette of film, entertainment, sports and information programs corresponding to the eclectic interests of Serbian TV audiences, Prva TV has enjoyed its status of the nation’s most viewed commercial television channel for over a decade. A crucial factor in Prva TV’s success is its constant striving to increase both the quality and technical standards of its programs. A vivid example of this commitment is the recent renovation of its Veče sa Ivanom Ivanovićem (An Evening With Ivan Ivanovic) studio set. 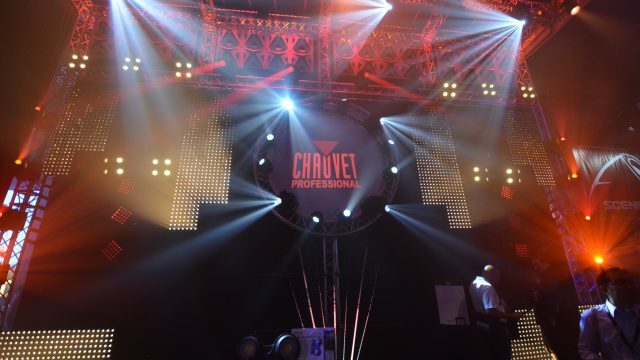 Prva TV contacted local installation specialists AVL Projekt, who in turn integrated 83 CHAUVET Professional ÉPIX Strip Tour LED strips within a comprehensive studio redesign. AVL Projekt deployed the LED strips throughout the set to add depth and visual variety. 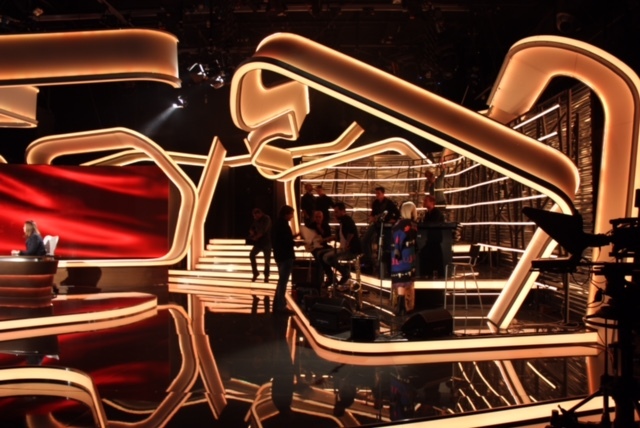 For example, multiple lines of ÉPIX fixtures were used to create unique and defining scenographic lines within the studio’s flowing set pieces. Additional banks of vertically aligned ÉPIX Strip Tour fixtures were positioned behind the live band to create highly desirable on-camera looks to support – yet not detract from – the content of the shows. 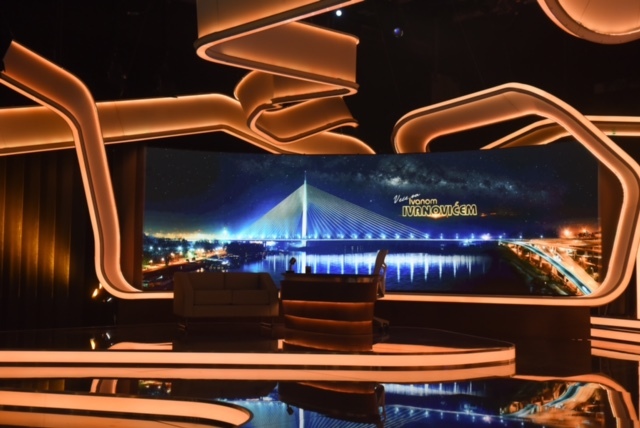 The saturated LED color rendering abilities of the ÉPIX Strip Tour fixtures set the visual tone within the studio by creating delicious yellow-gold and velvet blue looks to mirror the color scheme of the Veče sa Ivanom Ivanovićem logo. Most important in AVL Projekt’s considerations, however, was the ÉPIX fixtures’ ability translate this palette of saturated color successfully on camera. For added scene effects, AVL Projekt used the ÉPIX Strip’s additional arc-shaped frost filter to create seamless scenographic lines visible on television. 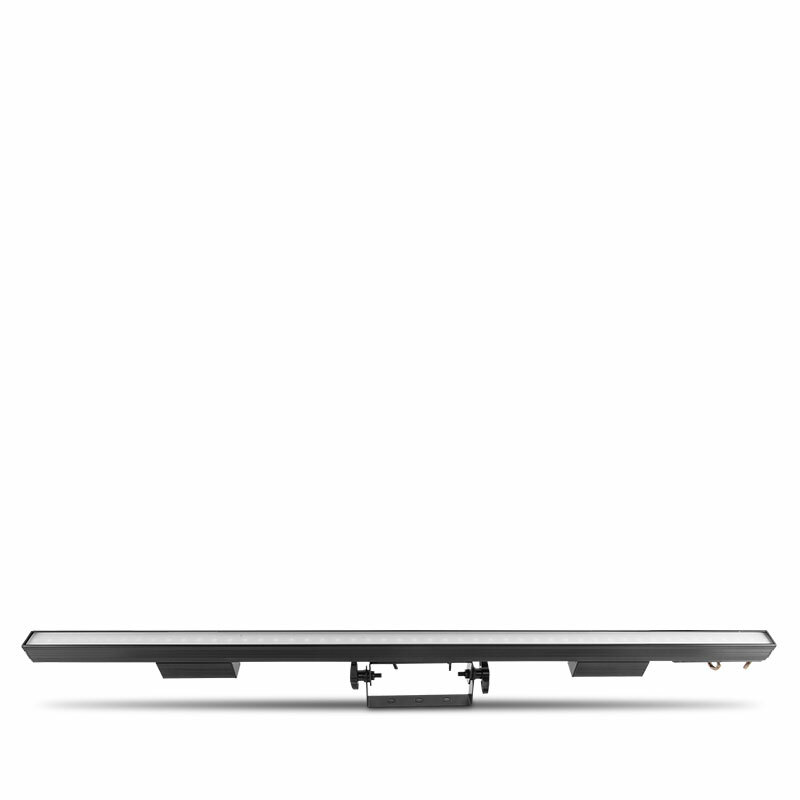 Not only does this aesthetically pleasing option allow the viewing angle to be extended to 180°, it also enables technicians to increase the brightness of the ÉPIX Strips without causing unsightly glare to camera shots. 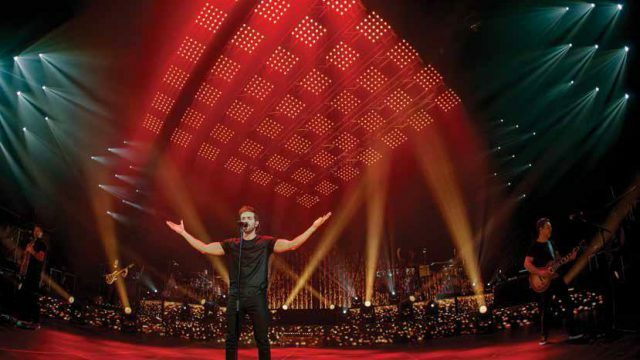 Aleksandar and his team were also able to exploit the exciting possibilities of the ÉPIX’s pixel mapping capabilities for a number of different applications within the “An Evening With Ivan Ivanovic” show.